John Dodson Taylor, Jr. (1905-1976), my paternal grandfather, studied law at The University of Georgia (UGA) in the late 1920s. He was a lifelong Presbyterian. Presumably he attended church while in Athens. He might have worshiped at the First Presbyterian Church, founded in 1820. I am an Episcopalian and an active member at St. Gregory the Great Church in town, but I have had occasion to visit the First Presbyterian Church, most recently on a Sunday afternoon for a concert of fine organ music. The historic and active nature of the place impressed me, a fan of old buildings. As a former priest of mine said, many congregations are functionally memorial societies. The First Presbyterian Church is not a memorial society, fortunately. Furthermore, according to the self-appointed rankers of church choirs in Athens, First Presbyterian has the best church choir and St. Gregory the Great has the second best church choir. One reason for my interest in First Presbyterian is the possible link to family history. Have I been in the same space in which my grandfather worshiped during his law school days? Have I perhaps sat in the same box pew? The UGA School of Law is on North Campus (with the famous arch), which opens up onto downtown Athens, where First Presbyterian is located. One can walk from UGA’s North Campus to the front doors of the First Presbyterian Church in just a few minutes. My theory is plausible, if unproven. 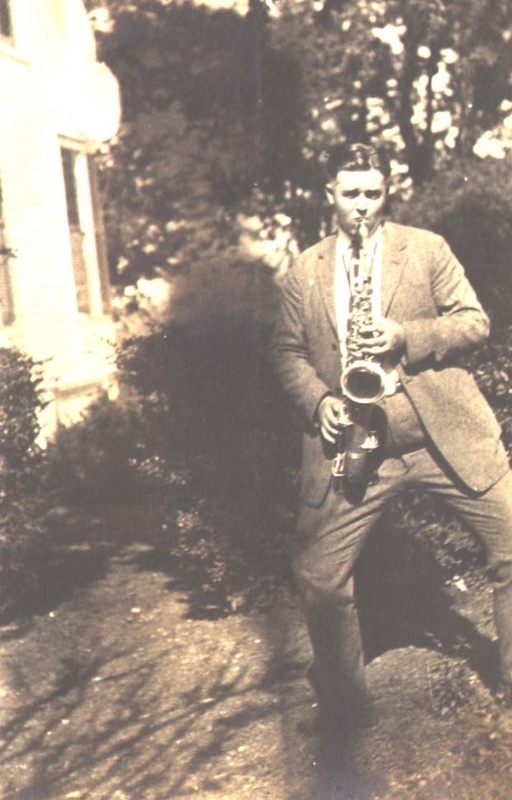 Here is an image of my grandfather, John Dodson Taylor, Jr., at The University of Georgia, Athens, Georgia, in the late 1920s. I have walked the North Campus of UGA and looked at the Law School buildings, some of which postdate his time in Athens. Yet the oldest one would have been familiar to him.